A couple years ago I was passing through Mt. Vernon IL on a business trip. I had noticed on the map that a couple rail lines passed through town and in the center was quite a few sets of tracks converging in a central location. This deserved some scouting to see what was there. 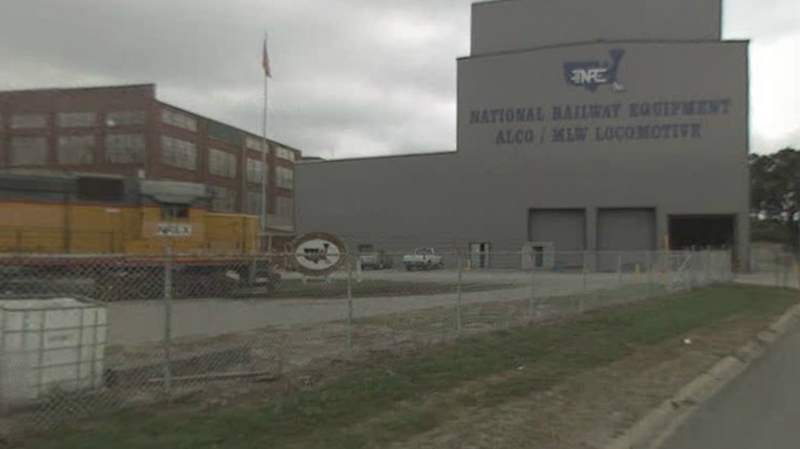 What I came across was National Railway Equipment Co (NREC). A road circles the whole facility offing many views of old equipment and rebuilds in process. It was a very interesting place to explore. The site also became the inspiration for a small 60 x 18 inch track plan I call Reid and Son Recycle. The premise is that like NREC, Reid and Son take old equipment and refurbish it to resell. This small layout is designed for HO scale and uses Peco #5 turnouts. The plan is setup to be generic with a couple buildings to work in, traveling crane to lift equipment and a couple tracks for storage. The plan includes a short run-around that will accommodate a small locomotive. 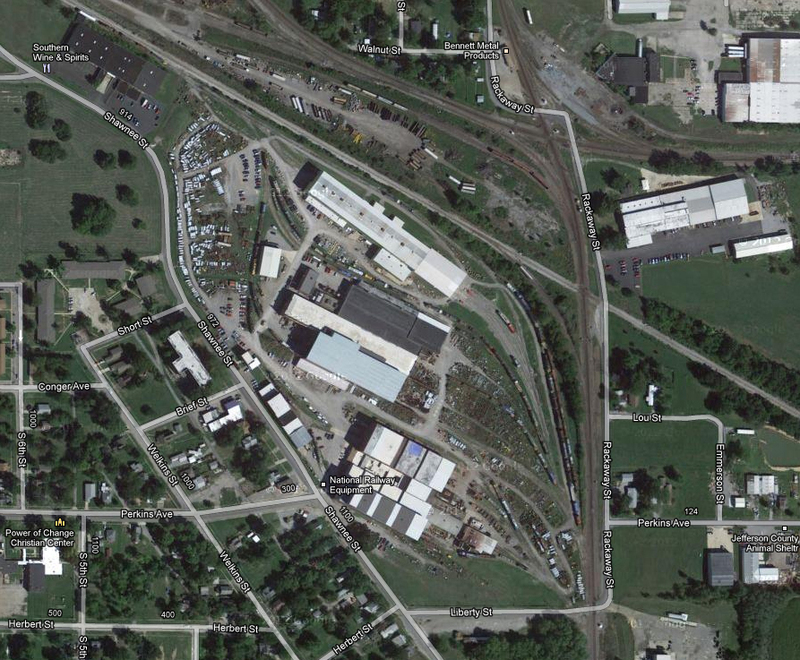 The premise is that Reid and Son rebuild small locomotives (or freight cars). The small layout could even serve as a display for your favorite equipment. The highway overpass in the corner hides the entrance (end of track) to the facility. I kept the plan simple and used only off-the shelf turnouts with flex track. Even so the plan lends itself to additional modifications by the industrious modeler. A fiddle yard or cassette could easily be added to the entrance of the facility. This would provide a rotation of equipment to service. The LH rear corner includes a dummy track. This track could be made operational by adding a sector plate or a traverser. Operations could be based on a schedule of how cars must be transferred around the facility. An alternative could be a deck of cards (one for each piece of equipment) could be shuffled and then placed at various locations in the facility indicating where things need to move. The scenery would be comprised of piles of old parts and partially dismantled cars or locomotives. The buildings (flats) in the back should be large and imposing. The type of building will depend on the era. A modeler with many spare parts and excess locomotives or cars would be able to fill the area nicely. The layout is expandable on both ends and could also serve as an endpoint to a small branch line. Please share your adaptation! I would very much like to see this plan executed. I feel it has much potential.